I always knew that I would one day meet Heavy D and let him know how much his music meant to me. Well, really one song in particular. While I have been a fan of the man since I first heard The Overweight Lover’s Is In The House, I have been particularly fond of his Reggae infused songs. The tunes with Super Cat in the early 90’s are some of my favorites of Heavy’s long and storied catalog. 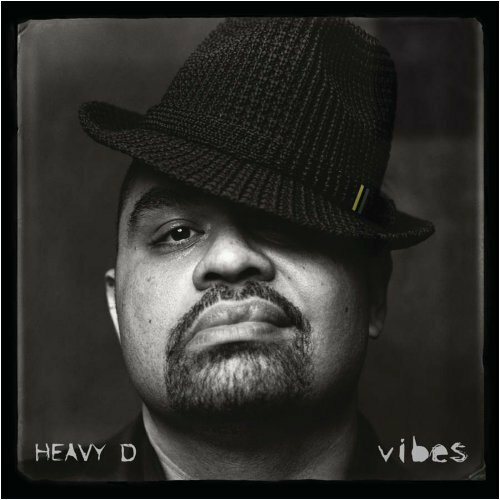 That is why when I heard in early 2009 that Heavy D had a Reggae album, Vibes, I immediately copped it. The song that did it for me on that album is Queen Majesty. It is a beautifully worded ode to a woman that Heavy finds way out of his league. On top one of this lush, classic Reggae break, which by the way is called the Queen Majesty riddim, Heavy waxes poetic on his love and admiration for this woman, this queen majesty. The song is actually a remake of an earlier version by the crown prince of Reggae, Dennis Brown. At the time, my wife and mother of my 3 young daughters was in the throes of chemotherapy after being diagnosed in September of 2008 with triple negative breast cancer. She had just completed the first round of chemo and she was, in my eyes, wasting away. On top of being bald, she was emaciated, skinnier than I had ever seen her and wasn’t eating or sleeping much for that matter. In December of 2008, while she was undergoing her treatment, my wife’s dad, who she had a contentious and complicated relationship with, passed. Even though they weren’t close it was an extra burden that just added to the overall impact of what we were facing. Then in January 16th of 2009, the other shoe dropped. On that fateful Friday, one of her many doctors informed us that they had found a blood clot in her heart. Due to the location and size of the clot, she wouldn’t be able to take pills to reduce the size of the clot but would have to have twice daily injections to her abdomen. The doctor insinuated that she was in grave danger of losing her life. That weekend was probably, for me, the toughest time of this whole ordeal. After everything we went through, I felt it wasn’t long before it was all over. That Monday, which was MLK day, I was alone in our bedroom sweeping and listening to Heavy D’s Vibes album when Queen Majesty came on. That song hit me like a ton of bricks; I was on the verge of losing my queen majesty and the dam broke. I cried like I had never done before. I realized that I was not strong enough to handle this alone. I pride myself in being able to support and care for my family but I was helpless with the problem before me. At that very moment, when I was at my lowest, listening to this magnificent record, I felt for the first time, the feeling of grace. It was like that song put me in communion with something bigger than me. I instantly felt better and knew that we would get through this. My Queen Majesty, Eileen Z. Fuentes, is thankfully around 3 years later, healthy, happy and cancer free. To this day, I still cannot hear that song without crying. I knew that one day I would share this story with Heavy D and would touch him like his song touched me. That unfortunately never happened. Heavy D thanks for the music, the memories and for Queen Majesty. You helped me through the toughest time in my life. You will live forever through your work. Heavy D lives! The Overweight Lover will always be in the house. This entry was posted in Music, Writings and tagged Cancer, Heavy D, Hip-Hop, Led Black, Reggae, Super Cat, Vibes by Led Black. Bookmark the permalink. Thanks Jenny. You played a part in this saga as well. Love you! I have magical powers. No not really, I saw your email address. Loved this Leo!! I was tearing up reading it. I’m so grateful to have you and Eileen and your wonderful family in my life! Thanks Karina. I feel the same. I was tearing up writing it. Much love to the family. Led, thank u for this. This was a tear jerker, but this was the perfect ode to such a talented man. D and I just saw him on the awards show several weeks ago and he looked great. I have to hear this song now! Thanks Renee. Much love to you and D.
You and Eileen are two magical individuals. I love you for being so in love with my longest living friend. I am blessed to know that love and deication exists between two magnificent beings! I am ecstatic to be partially responsible for your reunion. U know j had to throw that in there. Lol. Keep up the good work! U rock as a Human being, a husband and most importantly a FATHER! God bless. Thanks Joanny. The love is definitely appreciated. You really did have a hand in bringing us back together. Thanks for sharing this….appreciate all u have done with Uptown Collective and enjoy your Speach Queens tweets and wisdom. Thanks Julia for the kind words.